The Albanian side will have this evening the second game of the League of Nations, agaisnt Scotland, the other opponent of our group that consists of players from only three teams. After got three points two days ago in Elbasan Arena, coach Christian Panucci seems to have received positive signals from some players, and has not changed much in his formation for today's evening. What's more important is that, even for the match against Scotland, the captain of Albania Ansi Agolli apparently simply made his appearance at the press conference because Binaku convinced the Italian to be from the first minute on the field. But, unlike the first game, this time the defense is supposed to be composed by 5 players, adding to the center's doubles, Gimshiti and Veseli, also Mërgim Mavraj. A solution with a few centimeters more in length, with 3 quarterbacks, to cover somehow the game in the air of the opponents, because the air is their strong point. Meanwhile, the midfield division remains the same with Xhaka, Memushaj and Basha, a trio who worked well in the game against Israel, while Hyka would be immediately after Bekim Balaj, who apparently had convinced Panuccin more than Sindrit Guri , who started the game with Israel from the first minute. At first glance it seems a 5-4-1 scheme, but of course the tasks that the coach gives to each player may modify the scheme depending on the different moments of the meeting. However, seems that Albania will be a more careful team and lined up back, with the goal to get a draw, which would certainly be a positive result for the Albanian Rossoneri, who may find themselves with 4 points after the first two matches. Rainy weather and low temperatures will be an other problem in a stadium like Hampden Park, considered by Europe's most 'fearsome' for the atmosphere that gets created, although it will not be full . 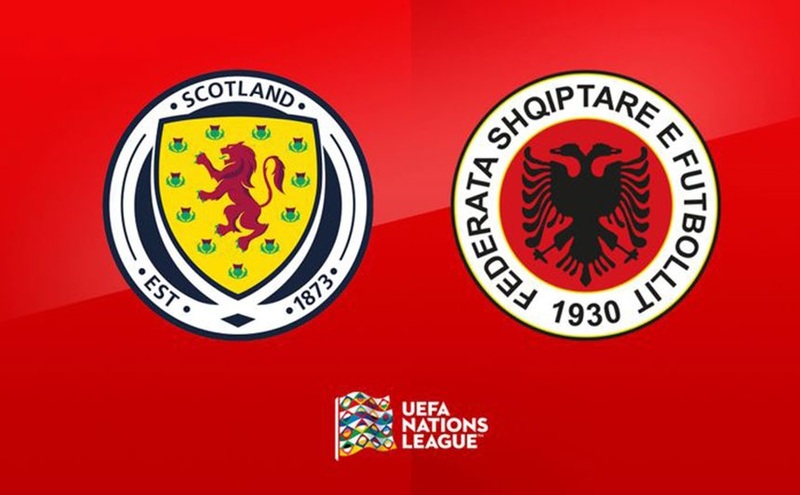 The match between Scotland and Albania will take place at 20:45 and will be transmitted directly and exclusively by the Albanian state television.